One of the best, easiest, & cheapest ways to build your web presence and PLN is a simple business card. My district doesn't supply cards for teachers or librarians so it's up to us to make that investment in our profession (and write it off our taxes!). For years I've been won over by Moo printing products and I redesign my Mini Moo cards about twice a year! As you can see above and below, my latest design is very Whovian, with a glowing flying Tardis! ***(UPDATE - not anymore!) Now it's all about Bitmoji & a QR Code Monkey with a Twitter logo in the center. 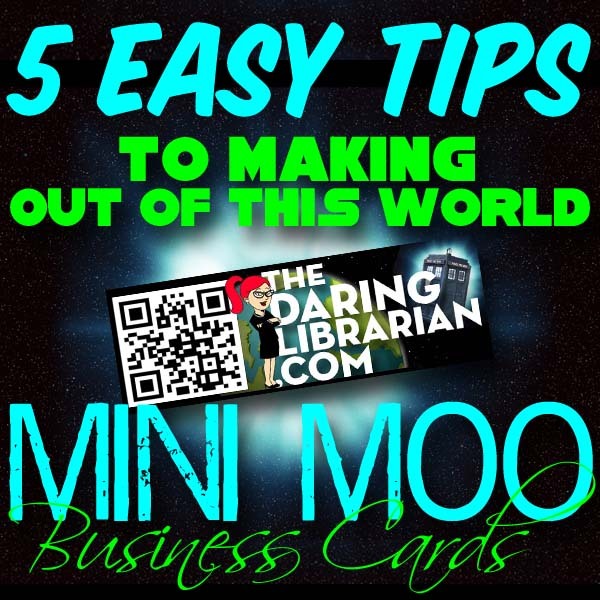 But no matter where you get your business cards here's 5+ quick tips for making them out of this world! If you design your card from scratch, use a template. Moo provides templates for all their products. To use, I downloaded the template for the Mini Moo cards in .PSD format and using Photoshop Elements (For Mac & Win) and easily designed a card that fits all the parameters. I totally failed my first attempts at this, designing cards without the correct pixel sizes, and the lure of the ability to have 100 different designs for each card with my Steampunk Second Life screenshots they just came out muddy! LOL But thanks to the PSD template, I got better! Plus, I decided to use just one image per box, which kept my branding more consistent. Once you design your card you just upload it to the Moo business card builder...re-ordering is easy, too! Don't have Photoshop or want it super easy? Use the built-in design tools that Moo provides! Ok, I totally stole "Happy Huesday" from my go-to source for all things colour schemes ColourLovers where I've made my own custom Daring Librarian colour palette. (Yes, using my British Spelling u's because I can! LOL). Anyway, I've blogged about the importance of colour schemes in branding both in my Font Lust & Other Graphic Desires post and How to be a Presentation Ninja preso. 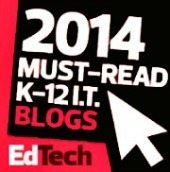 The idea is to have people and your PLN recognize your "brand" at a glance. Visually coordinate your blog design, your Twitter header, business cards, Scoopit background page, and even outfits & accessories. 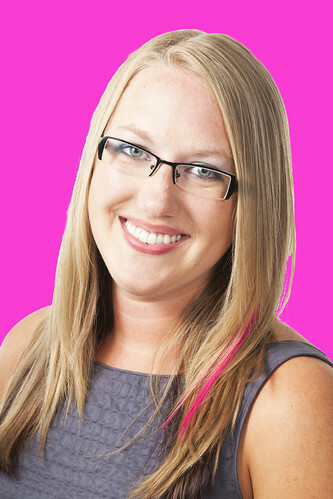 For example, The Mighty Little Librarian Tiffany Whitehead effectively uses pink, black, and zebra print! Stumped about what to choose? You can look at the ColourLovers most loved colour palettes (adore "Cheer Up Emo Kid!") or look in your closet! What colours you are drawn to and wear all the time? I like lots of basic black with punches of brights and pops of colour. Just like this blog, I like to dress with colours such as aqua, lime green, turquoise, orange, and teal. I even go to Etsty for matching hair extensions to go with outfits! Thanks also to Tiff for that fashion tip - but of course that handy girl makes her own! 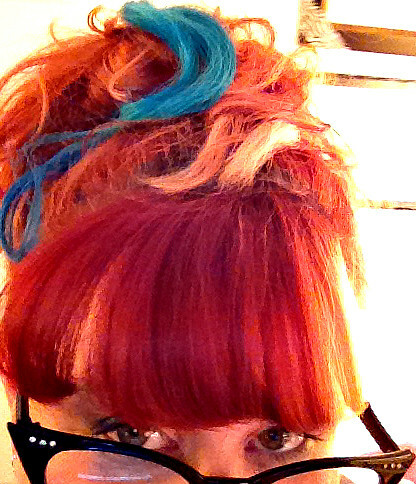 (See the pink at the bottom of her hair?! Major!) PS. 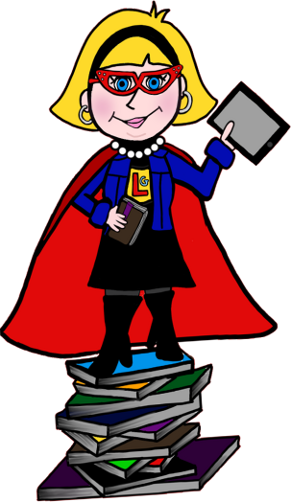 Librarian Tiff is a great follow on Twitter & her blog rocks, too! Want instant branding & a fun addition to any business card? 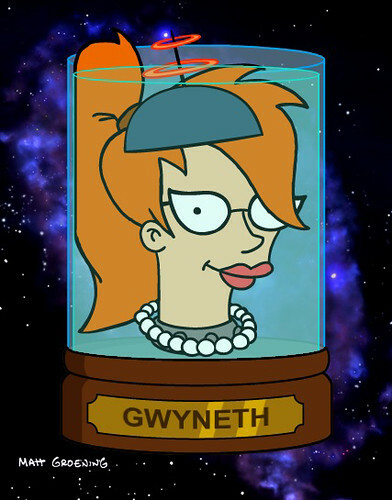 Try an Avatar! Here's a blog post and wikipage with 23+ easy avatar generators! It's a Cartoon, It's An Avatar, It's a New Animated YOU! 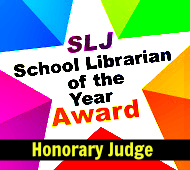 For example, my friend Jennifer LaGarde recently revisited and re-designed her avatar. Squee! She added pearls to it! Love them, so classy! 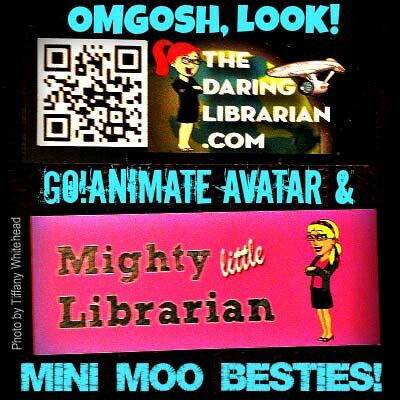 In her post she also shares some amazing avatar apps, drawing apps, and more! 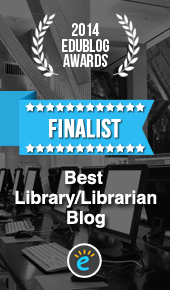 If you don't read her blog already, you should - she's A-maze-Ing! I am constantly inspired by her enthusiasm, talent, and shameless sharing! Once you get an avatar, make sure to take a screen shot of it against a white background and then then use Photoshop Elements (or PicMonkey!) 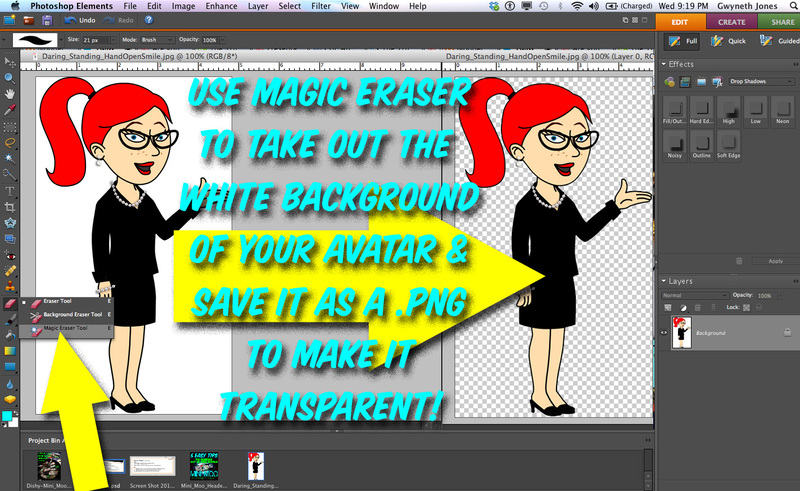 and the magic eraser tool to get rid of the white to make it transparent. 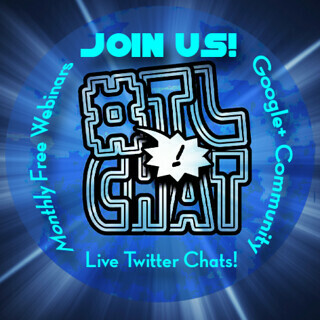 Be sure to save it as a .PNG and NOT a .jpg so that it stays transparent and you can insert it anywhere! Like on a business card or in front of the Eiffel Tower! Don't have Photoshop Elements? That's ok! Why not use the free Digital Imaging site Ribbet advanced tools!? 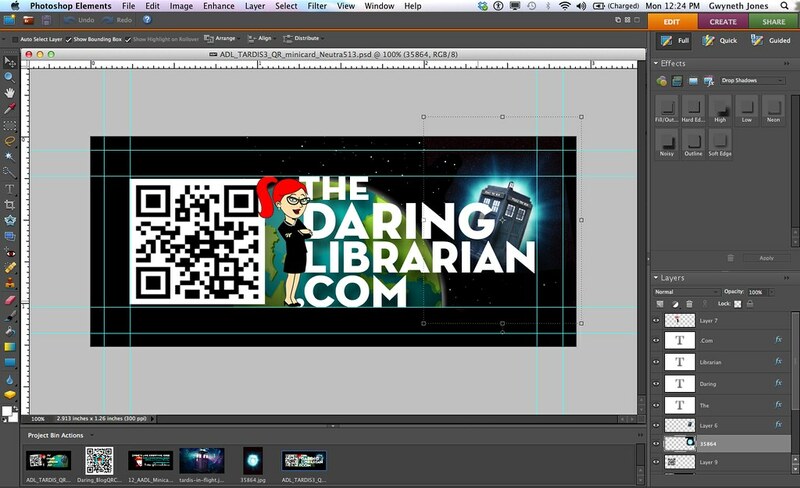 One of the best things I've done for my business cards was to add a QR Code. 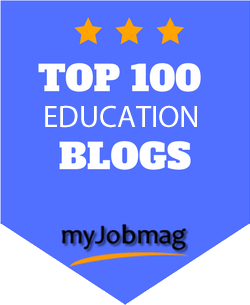 Now, I know I've blogged a LOT about QR Codes, you have only to search this blog for all the posts, but a QR Code on your card makes getting to your blog, Twitter feed, professional website, or electronic portfolio as easy as an i-nigma smart phone scan! To make a QR Code that has an image embedded in it, use QR Code Monkey as I described & showed in my Loo Reviews post last month. 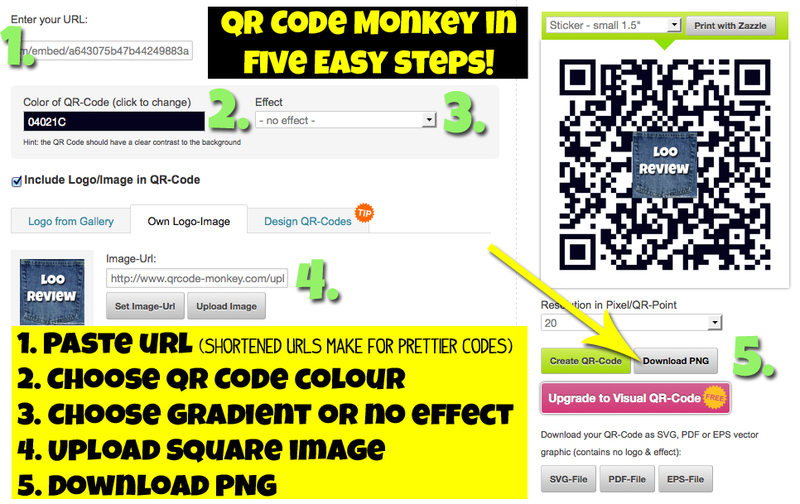 UPDATE: QR Code Monkey is my new favourite QR Code generator! Easy, free, no need to sign up - it's the BEST! You can use your avatar in the middle of your code or your picture! Branding is not the time to be shy! 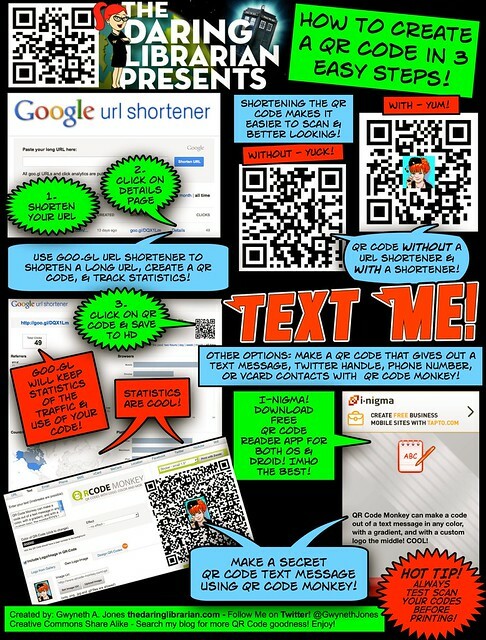 To create a QR Code you can follow my handy How To Make a QR Code in 3 Easy Steps comic tutorial. Sad face, Google is letting go of Google URL Shortener. Le sigh. We have to get used to some of our favorite sites going away. 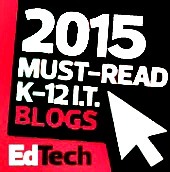 Like Vine & Wikispaces. But yeah, it's hard to let go. What Stuff To Include On the Back? 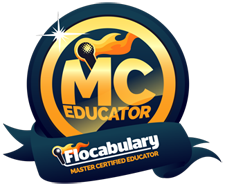 When creating a business card, what kind of information do you include? I say, Go Reverse Mullet! Party on the front, business on the back. Make the front of your card FUN! Add that avatar & QR Code! But on the back add your full name, title, Twitter name, and email address. I don't add my cell phone number - you need to really know me to get that, plus it's usually on silent anyway. But that's your choice! DISCOUNT OFFER: Get 20% Off Your First Moo Oder by Using This Referral Code! 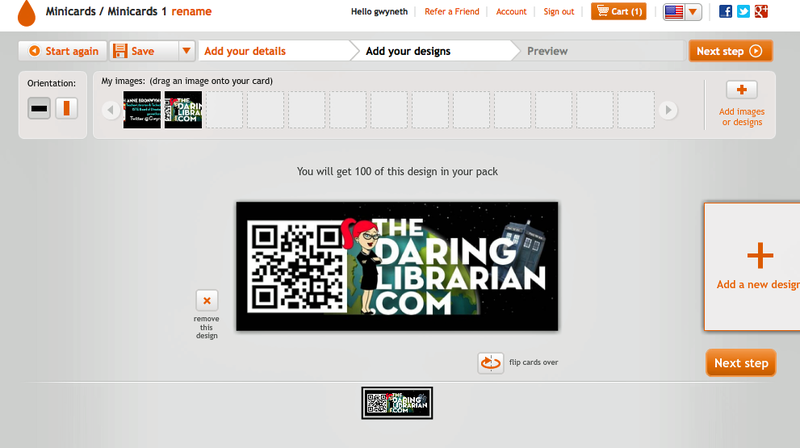 My latest card design is below with a fab glowing Tardis, my avatar, QR Code, & I ordered 200 in a glossy finish. 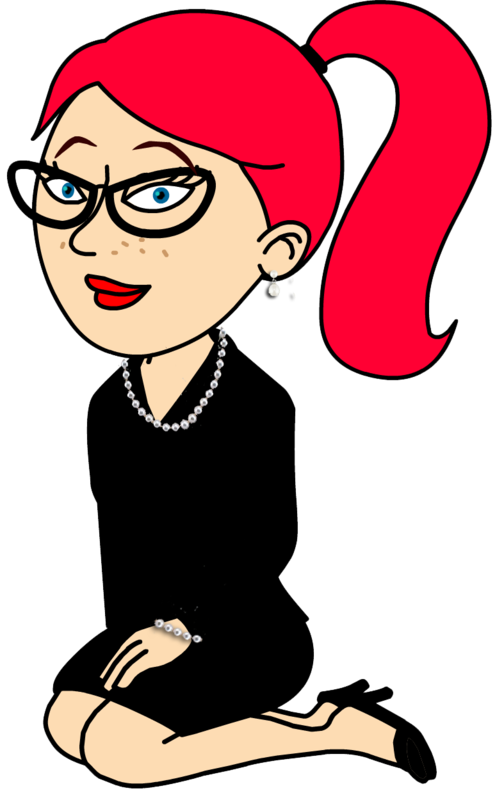 2017 --UPDATE My latest Mini Moo Card~ with Bitmoji Avatar! 2016-- UPDATE My latest Mini Moo Card -Gone with the Tardis! Here's an even older version. See all of my old cards, mistake cards, naff cards! I hope by the time I actually get to posting this it's not too late to get your Mini Moo cards. 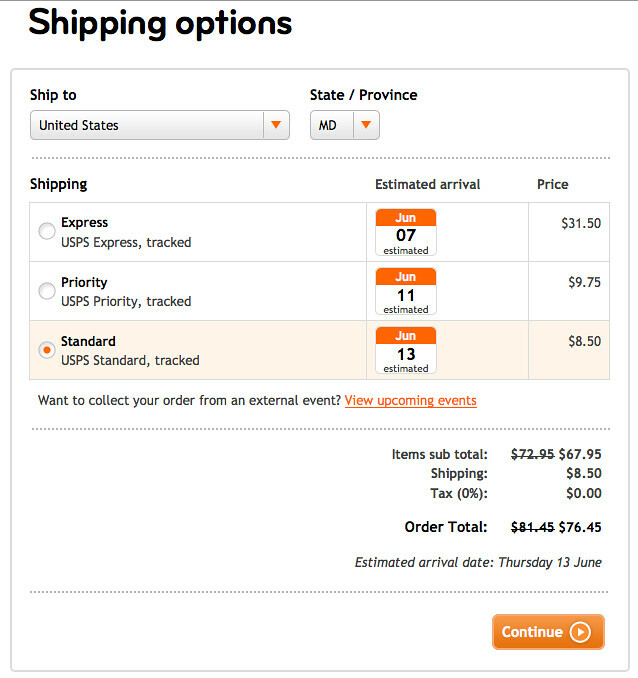 But, I have found that shipping is actually FASTER than they say. The other day (May 27th) I placed my order for my latest card, they estimated shipping to arrive to me on June 13th, and they just informed me via email that they were dispatched already & should actually arrive to me by June 7th. Now, your mileage may vary, and I have splurged for Priority shipping when I was planning late, I've never been disappointed! UPDATE: Want more graphic design tips for a slick sleek look? 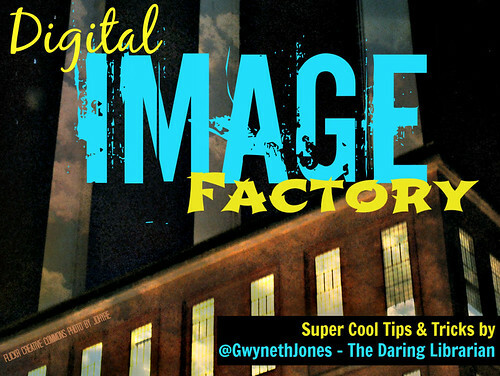 Check out my Digital Image Factory post & Slideshare! 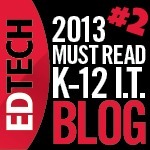 Find Me at #ISTE13 & Get this Sticker! 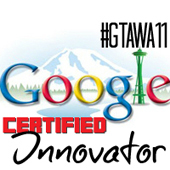 I also just ordered over 100 of these round stickers promoting our TL Cafe webinar series, our hashtag, Google+ Community & Twitter #TLChat LIVE! series! 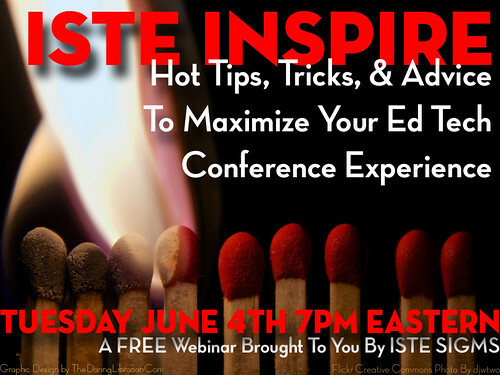 While they last, find me at #ISTE13 & mention this post & I'll give you one! Woohoo! You are the best!! 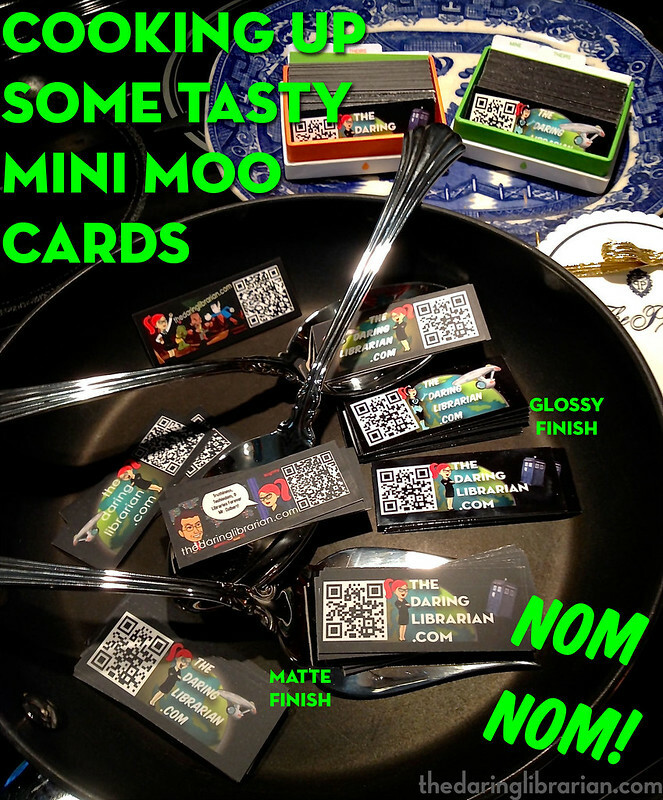 Thank you for this handy post of how-to, Mini Moo Goddess =) PS: Love the new Tardis cards! I approve of your flying TARDIS design! :-) Thanks for the tutorial. It's very helpful.